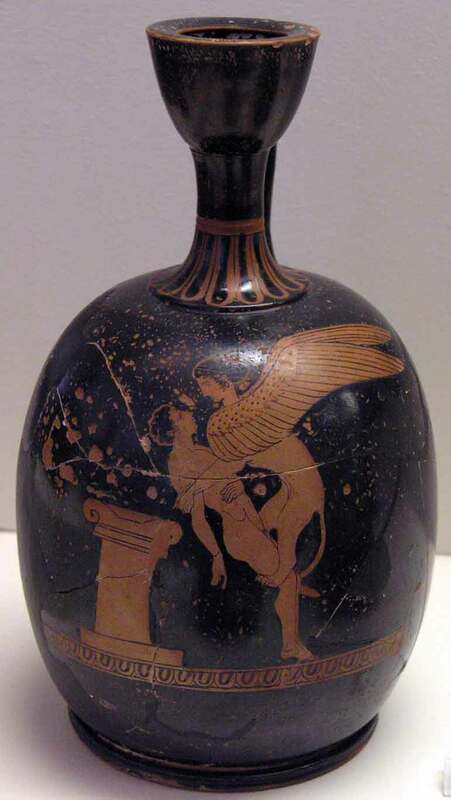 Squat lekythos. Sphinx abducting a youth. From Athens. By Polion. About 420 BC.